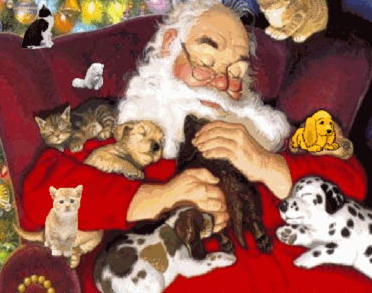 With another holiday season now safely behind us, and a very important presidential election season beginning tomorrow night in Iowa, this blog will now begin a long winter's nap. I may post an occasional item now and then over the next ten or eleven months, but I don't plan to add very much until sometime in November, by which time my 2012 holiday CD should be at least partially completed. I want to thank those other holiday music enthusiasts whose websites and blogs have introduced me to music and artists that were unfamiliar to me, and whose enthusiasm and holiday spirit have proven to be extremely contagious. 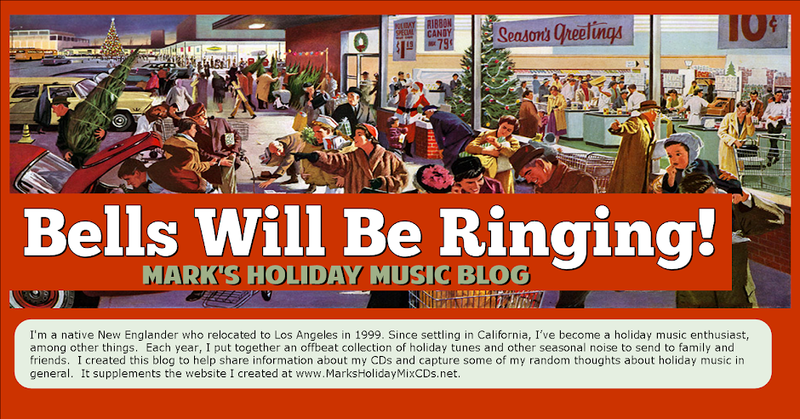 I've listed some of my favorite holiday music blogs in the right-hand column, and there are dozens of similar blogs that I've also enjoyed over the past several years. They can serve as a good antidote to the contentiousness and rancor that seem to have infected our politics and public debate. Best wishes to all for a happy and healthy 2012, and let's hope we can restore some measure of goodwill, honesty and civility to our political system during this upcoming campaign. As Bruce Springsteen reminds us, "Nobody wins unless everybody wins." So long, for now! And then there's that very different (and, frankly, horrifying) set of resolutions from the late Mae West, available for your New Year's Day enjoyment HERE. I'm not sure when this started, but for at least the past dozen years the Science Fiction cable channel has broadcast a two-day marathon featuring episodes of the classic TV program The Twilight Zone beginning on the morning of December 31 and continuing through New Year's Day. I've always liked The Twilight Zone, and I'm pretty sure I've managed to catch at least a couple of episodes every year since I first learned about these marathons. It's the only time I ever watch the Science Fiction channel, and one of the few times I watch anything on live television anymore. Created by writer Rod Serling, The Twilight Zone tends to feature stories with an underlying message or moral. Most of the these messages are humanistic in nature and champion "the little guy" against oppressive government or societal institutions. I think that's why I like the show so much -- that, and the unexpected and sometimes terrifying plot twists that typically leave the viewer with an awful lot to ponder. Not a bad way to start the new year. Incidentally, this isn't the only time Art Carney played Santa Claus. He put on a slightly better beard and Santa suit to reprise the role in The Night They Saved Christmas, a 1984 movie featuring the late great Mason Adams as a determined executive whose plan to drill for oil at the North Pole threatens Santa's workshop. Carney is also responsible for a tune I've been hoping to use on my last few holiday CDs and may well use next time. It's a spoken word record in which Carney recites the classic poem "Twas the Night Before Christmas," in syncopation against the jazzy backdrop of a single drummer's beat. You can hear it HERE.